Sometimes when you accidentally bend a sewing machine needle you can throw the timing out of adjustment. This will probably require a trip to a repair shop to have it corrected. This is a guide about trouble with a sewing machine after bending the needle. I have a broken sewing machine question. I have a pretty old Janome sewing machine that was recently handed down to me from my mother. It's a beautiful old thing and I had it serviced and the repairman said to hang on to it because it's an excellent machine. Well I fear I have ruined this excellent machine. I'm a beginner at sewing. I was making a purse with wadding inside it and trying to sew up the edges (4 pieces of fabric and two thicknesses of wadding). I recently discovered the fancy settings on it that let me do beautiful zigs and zags and interesting combinations of stitches. I chose a setting that was lots of small stitches together, then about every 5th stitch a bit mountain/zig zag. I got about 2cm up the side of the purse and obviously it was too thick for the machine/needle/thread/tension (I have no idea) and the needle bent. I removed the needle and replaced it, but now it keeps unthreading when I sew and is making a not so nice noise. I just spent $200 getting it repaired and serviced. Is there any way I can fix this myself? or should I just take it straight back to the repair shop? I know that the repairman did a good job of fixing it last time and am pretty sure this is just my incompetence on the sewing machine that has caused the problem. Needless to say I'm devastated, as I have just discovered sewing and spend most nights doing just that, sewing! What an incredible craft it is. Any thoughts or suggestions are very, very welcome. You have a good machine, but it is a dressmaker not an industrial machine. You may have a bent shaft, timing out of wack and so so many other possibilities. If you are a beginner or not unless you know what you're doing, the worst thing any one can do is to take a sewing aching apart! Just go back to where you had it recently worked on and ask if they would take a look at why it's running poorly. If they are a reputable sewing machine service business, I doubt they will charge you at all unless a part is broken and you have to buy a new part. If you could take a sewing class, to learn the basics in sewing and machine care, you would learn important tools in sewing you will use forever. Don't use heavy weight fabric on a dressmaker machine ever, ever. Guaranteed to ruin it. Stay with lite to med weight fabrics and use the correct thread of course. 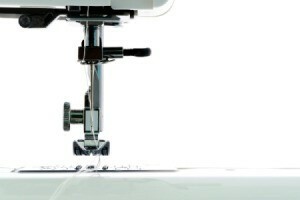 If later on you can, buy something like a Singer straight stitch machine, they are good strong work horses. Enjoy sewing, you have a great machine to use. I have an old sewing machine, labeled Gimbels, 40yrs old. After inadvertently bending a needle while in the machine, it will not freely move up and down. It displays great resistance while the clutch is engaged. Can you indicate where the problem may be and where I can get parts? Thank you.